New! 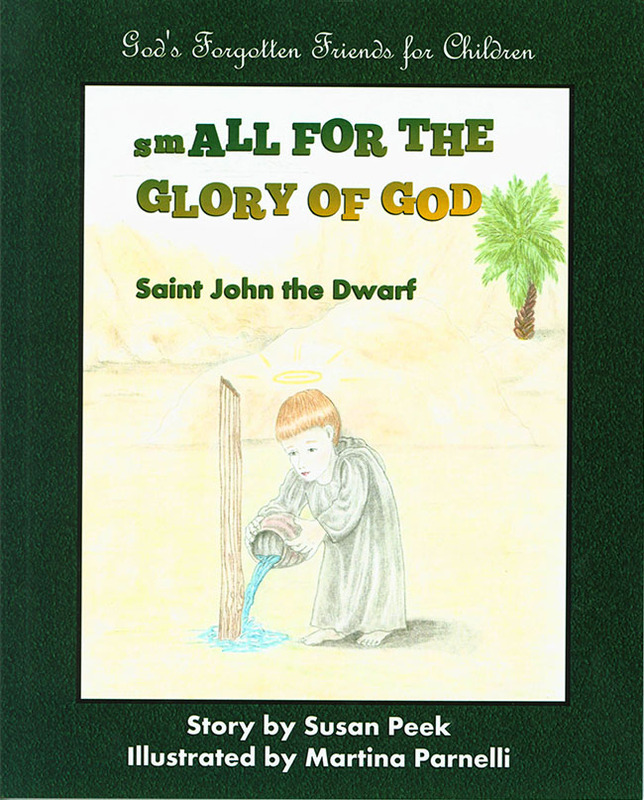 Small for the GLory of God - Meet Saint John, a little fellow with a huge heart, who did ALL FOR THE GLORY OF GOD and learned to love Him enormously! Being different from others is never easy. Saint John the Dwarf, of all people, could tell you that! Forever standing on chairs to reach things, unable to play games with other children because of his size, and being teased by the village bullies were all hard things to bear, and could have made John bitter and full of self-pity. But John discovered a secret – a great BIG secret – which changed his life and turned him into a giant of a saint. Join Little John on his adventures – from his home to a desert cave, to the altar and beyond – and let him teach you his secret of holiness too! With charming full-color illustrations and easy-to-read text, this first book in Susan Peek's new series for children is sure to capture the hearts of Catholic children everywhere. 8 x 10 inches. Soft Cover. 40 pages.